There are many natural wonders in the Black Hills National Forest. 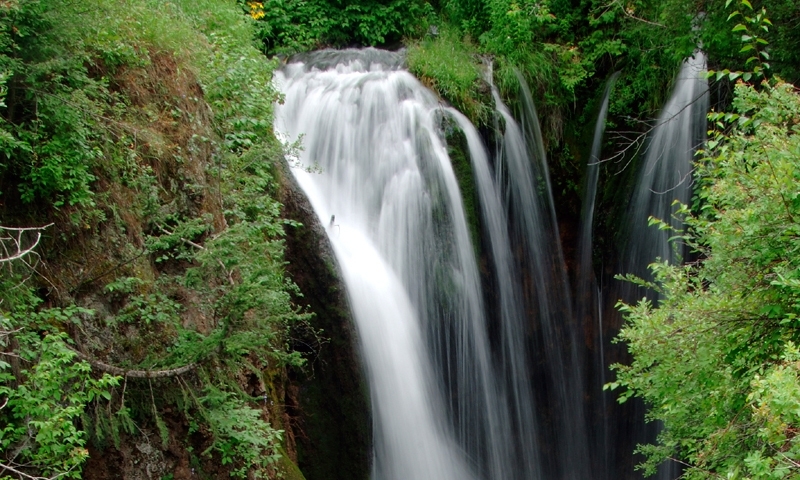 Soak in the Evans Plunge Hot Springs, or hike along the George Mickelson Trail. Gaze at the tumbling water of Roughlock Falls, or be immersed in the quiet serenity of Sylvan Lake. Enjoy the wonder of sacred Devil's Tower, the many Black Hills Caves and the Black Hills Wild Horse Sanctuary.